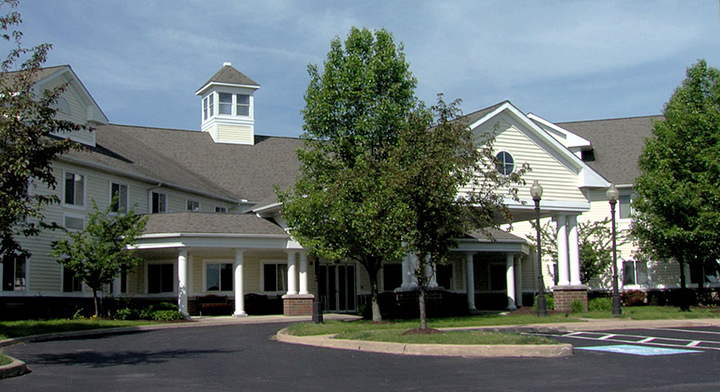 Just a short drive from historic Chardon Square, Mapleview Country Villa is committed to providing a quality therapeutic regimen that is tailored to each person’s unique needs. Whether rehabilitation or skilled nursing care is required, our goal is to prepare each person to return home as quickly and safely as possible. Our therapy space features specialized equipment for both strength training and enhancement of physical function. The therapy apartment setup, which includes a kitchen and bedroom, aides our staff in the successful restoration of daily living activities. A dedicated speech therapy treatment room is available for individuals recovering from speech, swallowing or cognitive disorders. Visiting hours are daily from 8:00 AM to 8:00 PM. For more information and to schedule a tour of our skilled nursing facility, contact our Admissions Department at 440-286-8176 or Admissions.MCV@lhshealth.com. The following reviews are from resident satisfaction surveys distributed to each of our patients upon admission and discharge. The surveys are administered and compiled by NRC Health, an independent, third-party survey company. We value the feedback of those we serve and are proud to share it with our community. Please select any locations you are interested in viewing. Please select any services you are intested in. Are there any services not listed above that interest you? What day would you like to schedule for the tour?